Black plastic spark plug wire separator make just like the original. Mounts on the valve cover bracket. 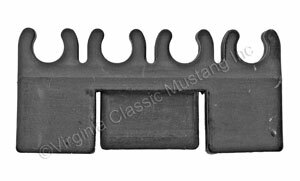 Used on Mustangs and other Fords. Original Ford Part Number is B8Q-12297-A. Sold Each.